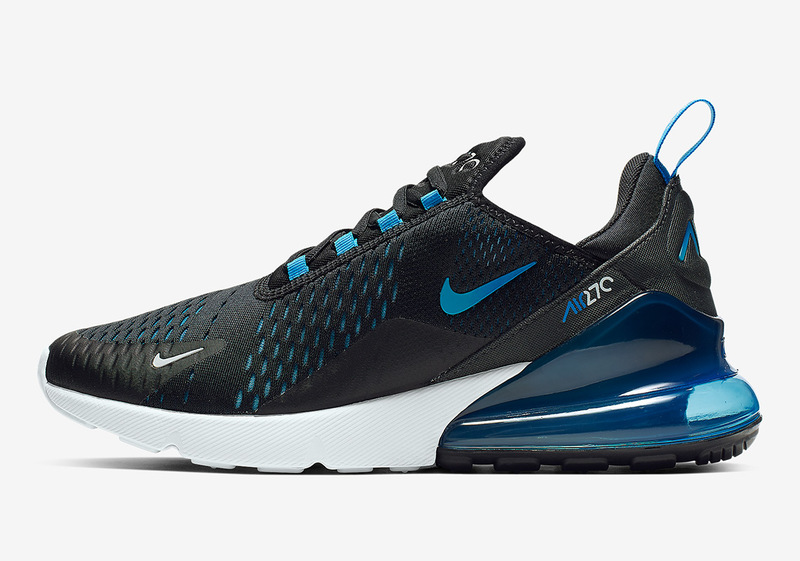 Since originally launching in February of 2018, the Nike Air Max 270 has risen to become one of the Swoosh Brand’s most popular lifestyle silhouettes. 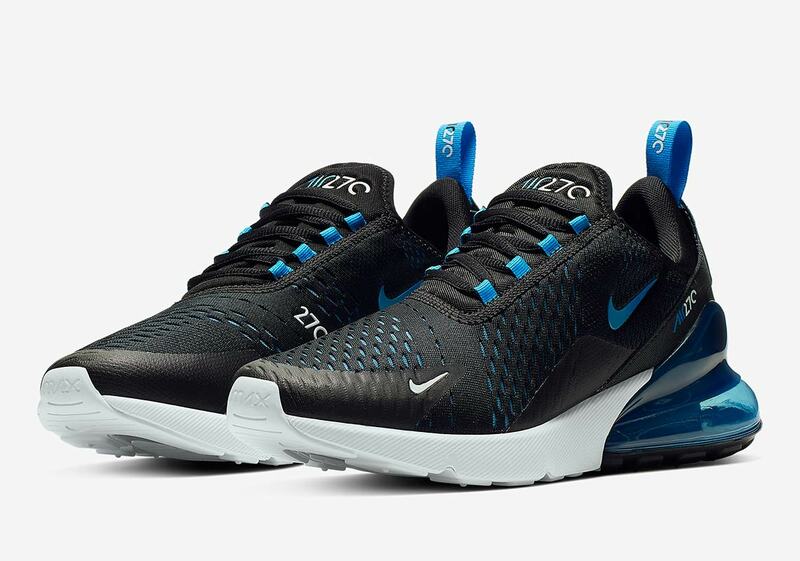 Loved worldwide for its unique style, whopping variety of colorways, and — of course — the gigantic heel Air Max unit, the 270 is certainly in a favorable position as it gears up for its second year on the market. 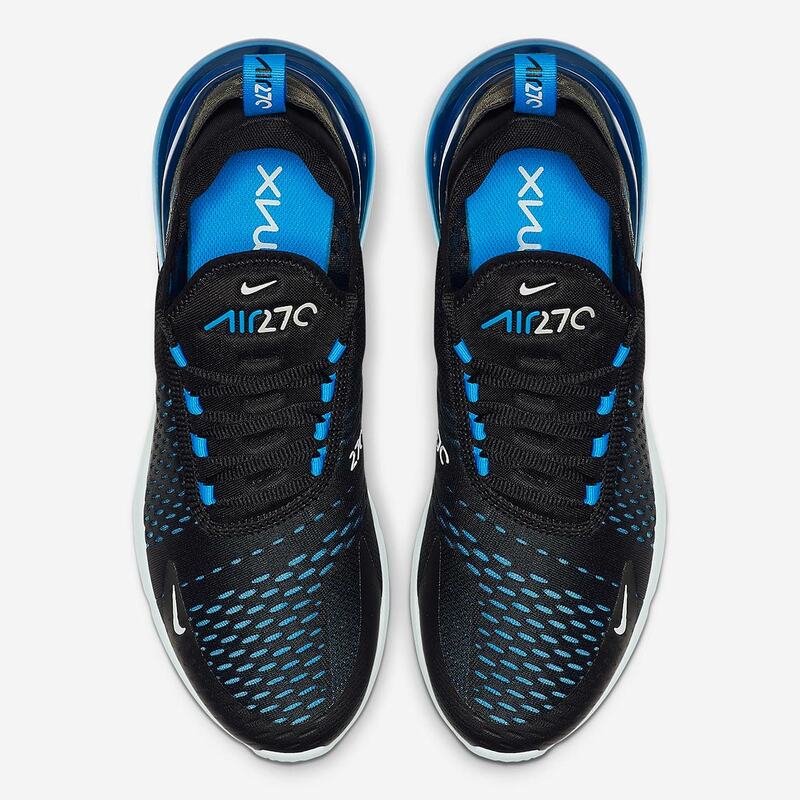 It’s now surfaced in a new “Blue Fury” makeup that calls upon a sleek base and sporty accents to provide a look that’s just as ready for the gym as the streets. 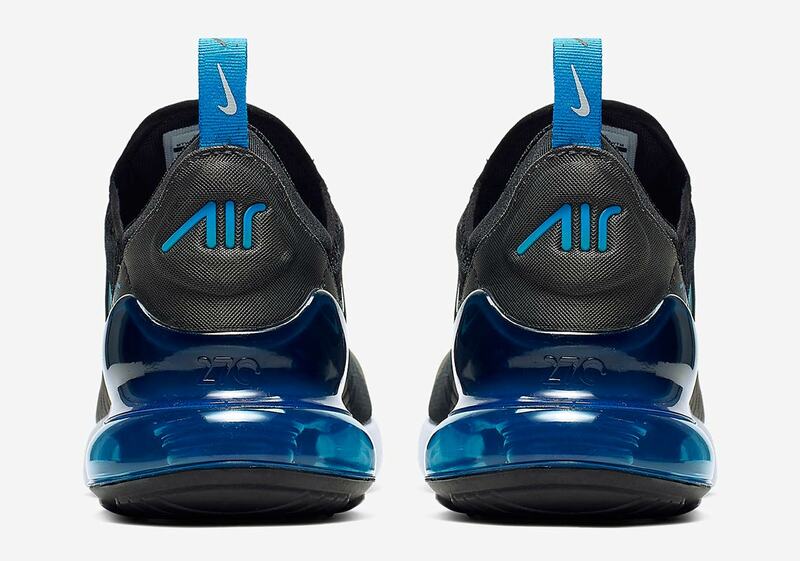 A bold blue appears on the heel clip/Air Max cushioning unit, and a perforated black mesh upper shows a blue layer underneath for a welcome pop of textured style. 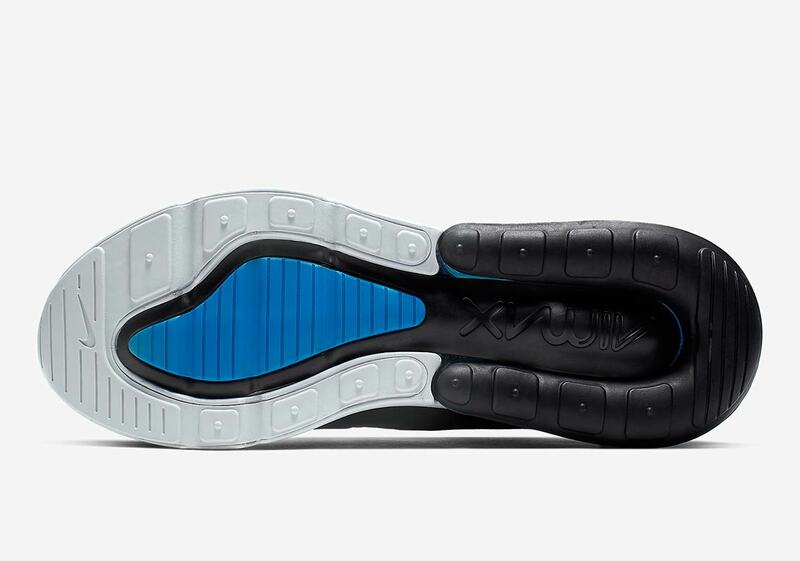 White/blue branded accents and a white midsole then round off the look. 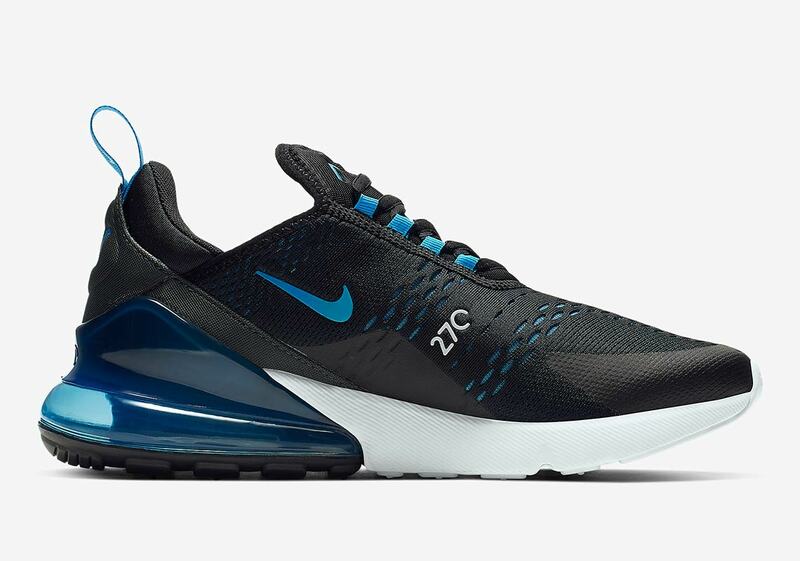 If you’re looking for a new pair of 270s, you can expect the “Blue Fury” to release on Nike.com February 28th for its customary retail price of $150 USD.